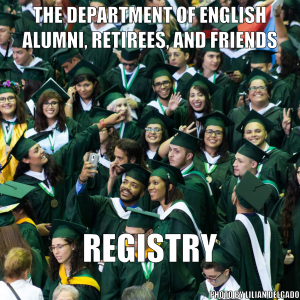 Since 1966, the Mellowes award has served to recognize exceptional English major undergraduates of UPRM. Through a rigorous selection process held by the faculty of the English department, the results have varied from one recipient, two recipients, or none altogether. Although it is a great honor, the Mellowes award itself has been shrouded in mystery. Until today. After having had the fortune of interviewing Ana Mellowes, this article will highlight the history of the Mellowes family and the award named after their patriarch. On June 24, 1867, John Stronach Mellowes was born in Anston, South Yorkshire, England (he is depicted in the banner of this article). After attending Fulneck School in Yorkshire, John left England in 1893 to work as a ship designer in Bilbao, Spain. John lived in Spain for four years and became fluent in Spanish, but he returned to England due to his poor health. After working in Fulneck as a private tutor for young men preparing to attend college, John resigned to work as a special agent of the British and Foreign Bible Society in South and Central America. It was during his time as an agent that John stumbled upon the island of Puerto Rico. Assigned to the British West Indies in the summer of 1898, John’s ship was returning from Central America when his ship was badly damaged and forced to stop for maintenance in Mayagüez. As the ship was being repaired, John decided to disembark and sell bibles. It was then that John met Fernando Rodil, a young student that invited John to have dinner at his house. Fernando introduced John to his family, among them his sister Cantura who would later become John’s wife. The very year that John arrived at Puerto Rico, the island became the territory of the United States after the Spanish-American War. In the newly-established public school system, John was offered a job to teach English since there weren’t many people on the island that knew how to speak it. The following year, on March 25, 1899, John was appointed School Inspector for the Mayagüez District and later became the first supervising principal for the entire region of Mayagüez. He was responsible for establishing a school system that was in accordance with American standards. Because of his efforts, John became an American citizen in 1905. John’s final years were quite turbulent due to his deteriorating health. After being transferred to be the supervising principal in Humacao in 1907, John wrote to the Commissioner of Education in San Juan, Dr. Dexter, to request a less strenuous position. John was recommended to be the Secretary of the University of Puerto Rico in Rio Piedras in 1909; unfortunately, John passed away that very year after succumbing to his poor health on November 24. In the eleven years that John lived on the island, he had five children with Cantura: Juanita, Martha, Charles, Cantura, and Amelia. Amelia Mellowes was born in Mayagüez on November 25, 1900. Following in her father’s footsteps, Amelia became an English teacher and taught at the University of Puerto Rico in Mayagüez (UPRM) for thirty-eight years. Before 1966, the English department was actually a part of Humanities. However, in 1966, the English department was established. Alongside this, Amelia founded the Mellowes award in honor of her father John and her aunt Sarah Mellowes, another English teacher in Mayagüez, to honor the crucial role that they had in shaping English education on the island. Most of the information on Amelia were gleaned from files in the RUM English department. However, this information was confirmed, and the extensive biographical sketch of John Mellowes was provided, thanks to the generous input of Ana Mellowes. Ana was the daughter of Charles Mellowes, with John being her grandfather and Amelia her aunt. 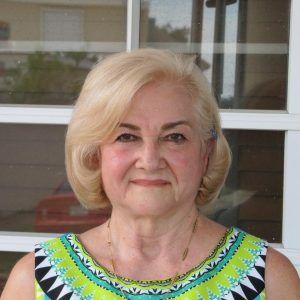 In 1965, Ana graduated from UPRM with a BA in English, and continued her Masters in English in UPR Rio Piedras. Upon receiving an MA for Teaching English as a Second Language from the Inter American University in San German, Ana became an English teacher and school superintendent in the Escuela Superior Jose de Diego before retiring. Even Ana’s sister, Bertha Mellowes, taught English at UPRM for a year before continuing to teach in New Jersey. Today, Ana is seventy-three years old. What’s more, she is the last member of the Mellowes family that is still alive. Her father, her sisters Bertha and Grace, and her aunts have all passed away. Nonetheless, Ana has had three children who have also graduated from UPRM. Her daughter, Caroline Palmer Mellowes, studied Accounting and Finance. Her sons Orlando C. Palmer Mellowes and Joseph A. Palmer Mellowes studied Accounting and Electrical Engineering, respectively. Even now, Ana has a granddaughter in her first year at UPRM: Diana Romero Palmer. Regarding all prospective English educators, Ana wished to share this sage counsel: “You must love your profession and be patient.” For those who will be teaching English on the island, she continues “This will be a second language for your students, so your class must be interesting and enjoyable.” As a Mellowes award recipient for this year, I can only share my immense gratitude to the Mellowes family. It is safe to say that English education in UPRM would not have been the same or might not even have come to fruition without the vast contribution of John Mellowes and his descendants. PreviousPrevious post:And the Mellowes Award Goes to… Carlos Santaella and Claudia Irizarry!NextNext post:Welcome to the English Department, Prepas!